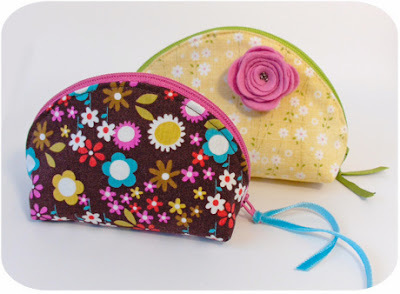 Since I have discovered sewing is really not that hard, I have loved making zipper pouches! They are so easy and they make a fun last minute gift you can whip up in no time. 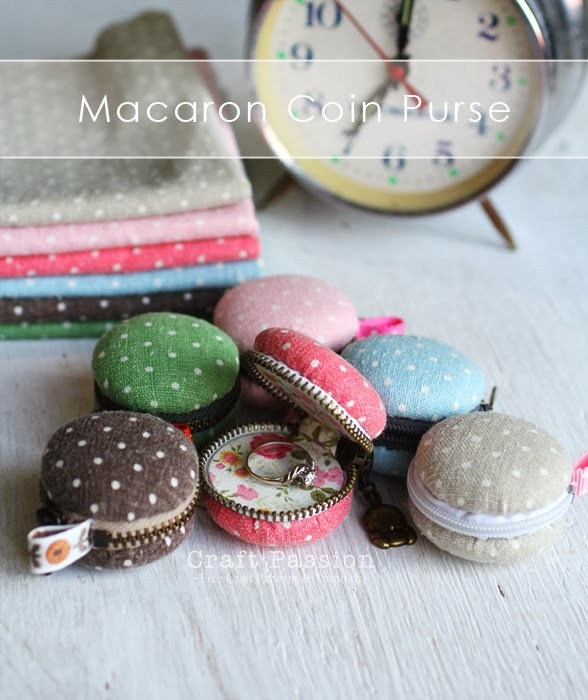 Any of these lovely zipper pouches would make a lovely gift or stocking stuffer! 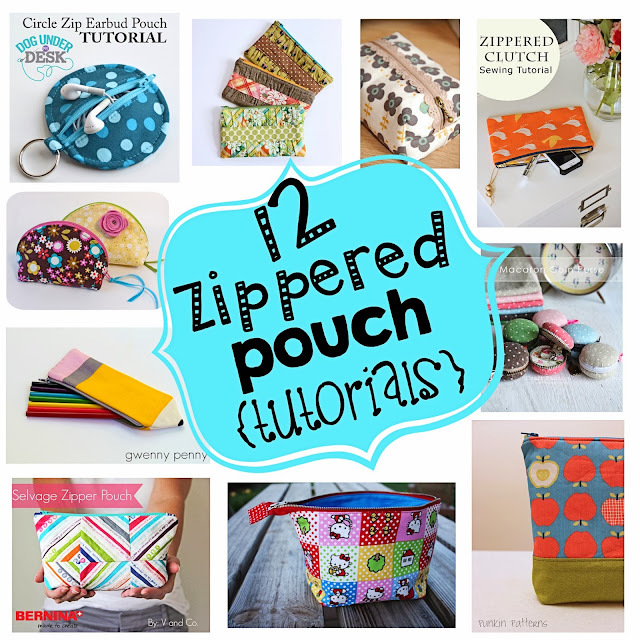 I am sharing with you 12 awesome zipper pouch tutorials from 12 great bloggers. I hope you find something that sparks your interest. 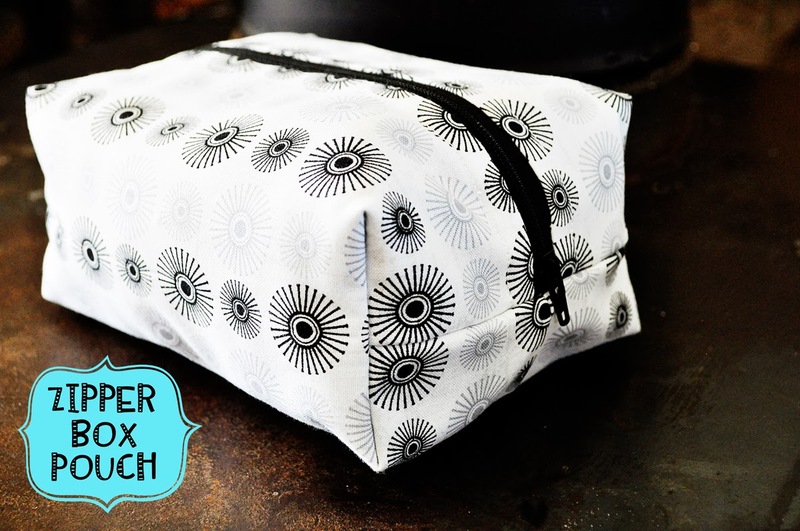 This zippered pouch has been dressed up quite a bit! Love the gathering detail! Noodle-head shows us how to make one here. These fun "dumpling" zip pouches are so adorable! Michelle Designs shows us the free tutorial here. This fun little pouch by Noodlehead has a really wide opening--which I personally think is great because sometimes it's hard to find what you are looking for in those smaller openings. She has a great tutorial on her blog here. I about died when I saw these little lovelies! They are so tiny and so cute. They would make a great gift or stocking stuffer. You can find the tutorial here. 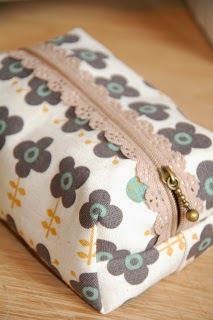 This zippered pouch is really lovely. The exposed lace adds a nice touch and makes this pouch stand out! You can find the tutorial here. 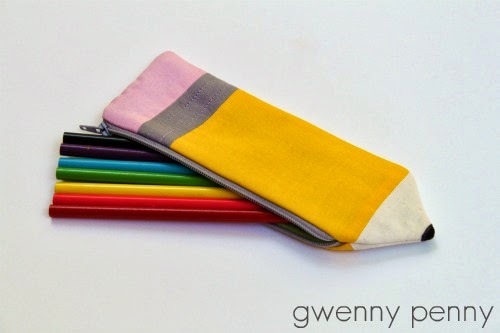 This fun pencil pouch would be a great stocking stuffer for kids, or even a teacher gift! Gwenny Penny shows us how here. 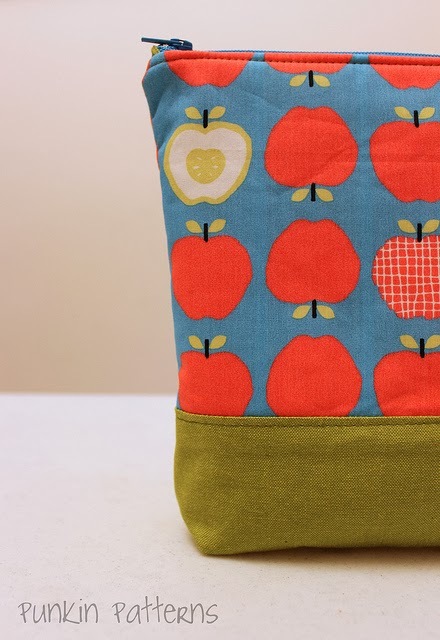 This simple zippered pouch by Punkin Patterns is super easy and simple. You can find her tutorial here. 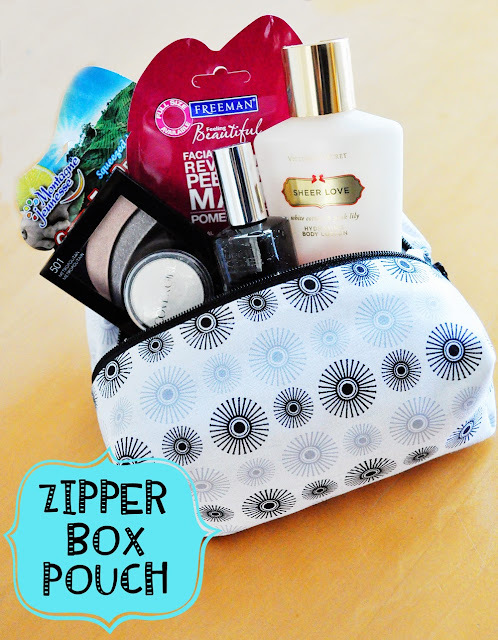 Here is a fun twist of the zippered pouch! 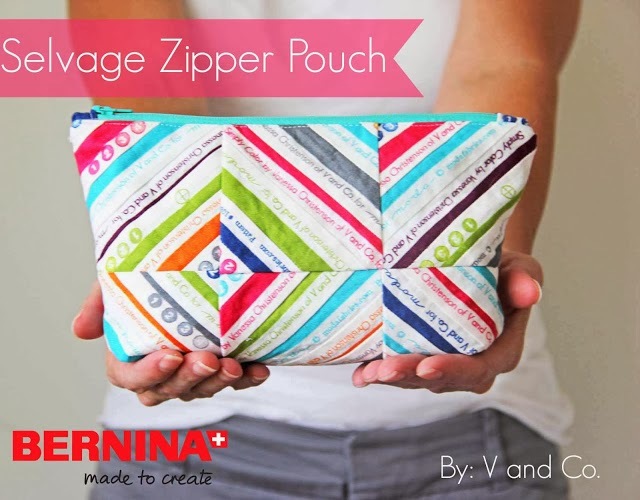 If you save your selvages then this will be a perfect project for you. V and Co shows us how here. The Girl Inspired shares with us this simple clutch tutorial, but dresses it up by adding a fun little bead embellishment. This earbud pouch is perfect for that music lover in your life and would be a fun gift for anyone on your Christmas list! 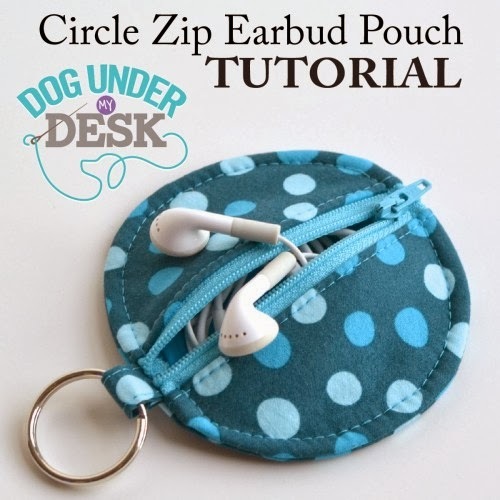 Dog Under My Desk shows us how to make this fantastic pouch here. 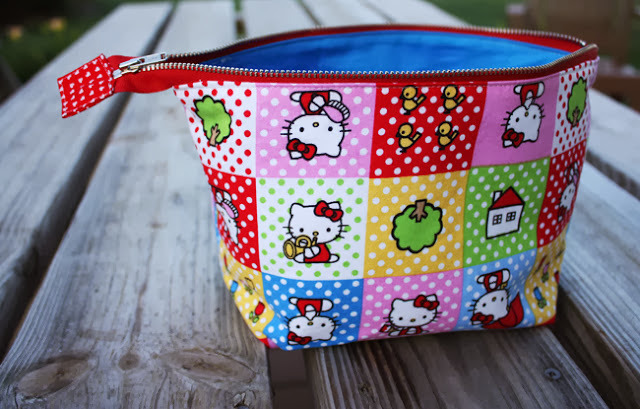 This youtube tutorial by The Crafty Gemini shows us how to make a quilted zipper pouch. 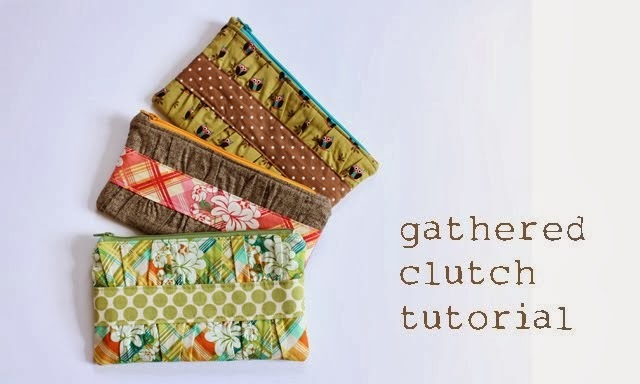 I love tutorial and have made one of these pouches. It was simple to follow and she uses very clear instructions. 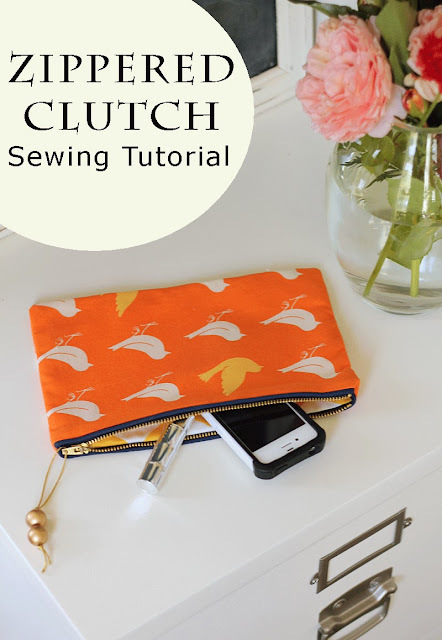 This next video by I heart Stitching shows us how to make a flat zippered pouch. This is a really simple pouch and a great starting point for someone who has never sewn with zippers before. Lastly, I thought I would share my latest zippered pouch with you. I made this from watching the Crafty Gemini Tutorial. I did change it up a bit though. I did not quilt the fabric, and I used my own measurements. I am giving this to someone for Christmas and am filling it with fun things like lotions, face masks, nail polish, and makeup. I hope one of these zipper pouch tutorials will inspire you to make your own! So many to choose from ... great, thank you for sharing them all. I think that I will start my Christmas Gifts early next year and might even make a few of these .... thanks. This is great! Love your Box Pouch. And your pics are awesome, Lindsey! Merry Christmas! Thanks for this list! I am saving several of these links to try. That video for the Gemini pouch is the absolute best, most clear, and easy to follow video I've ever seen! Thanks for sharing all these links. I want to make every single one! Thanks for corralling these great tutorials in one place. Merry Christmas ! Lindsey, What are the dimensions of your boxed zipper pouch? I love the size of it! Thanks for sharing all these zip links. I've bookmarked a few that I would like to do next year. Thank you so much for these links. i've bookmarked your post for future reference. Have a great Christmas!